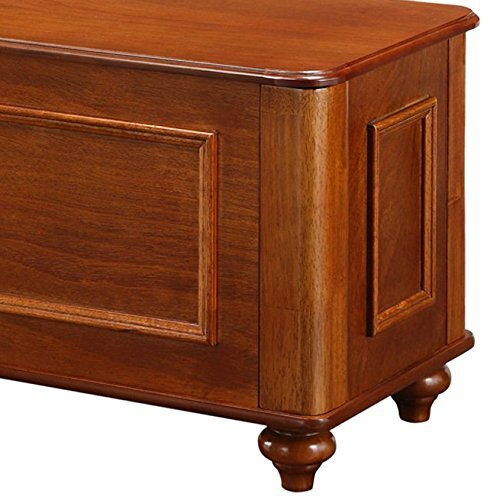 American Furniture is one of the oldest furniture company in the USA. 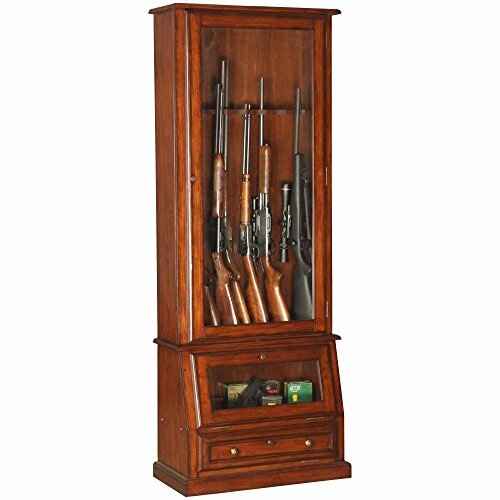 As it is written on the official website, their management has over 75 years of experience specifically in the furniture arena. 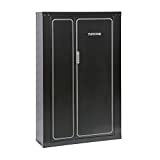 According to the name, the company provides various sets for a bedroom or a kitchen, outdoor items, etc. 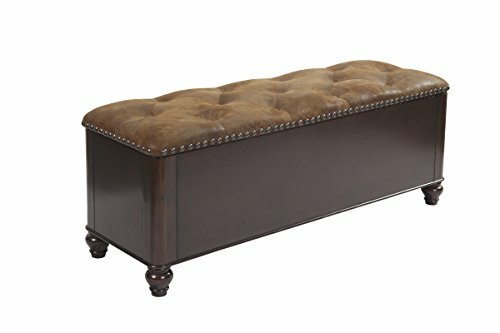 All the pieces are made in classic style. 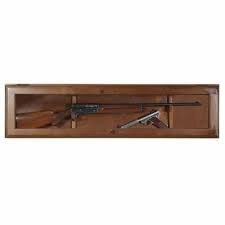 One of the peculiarities of the American lifestyle is that a gun license is quite easy to obtain. That is why there are a lot of guns in America’s houses which need to be stored appropriately. 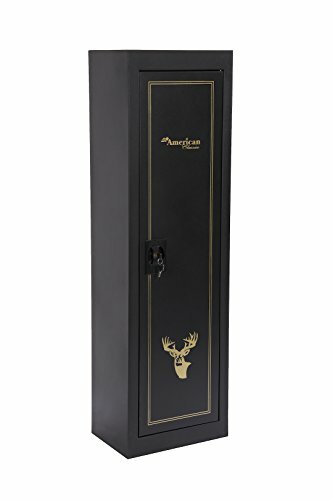 So American Furniture has a wide range of gun storages as well. 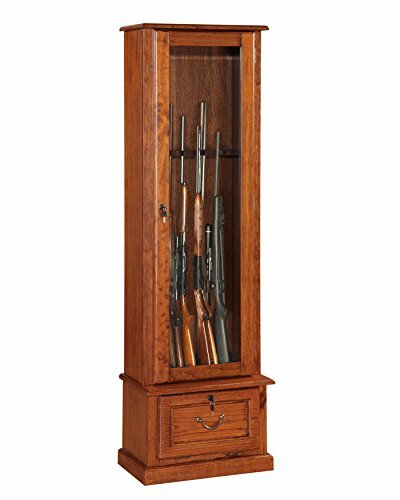 It is wood curio cabinets made of solid wood and tempered glass. 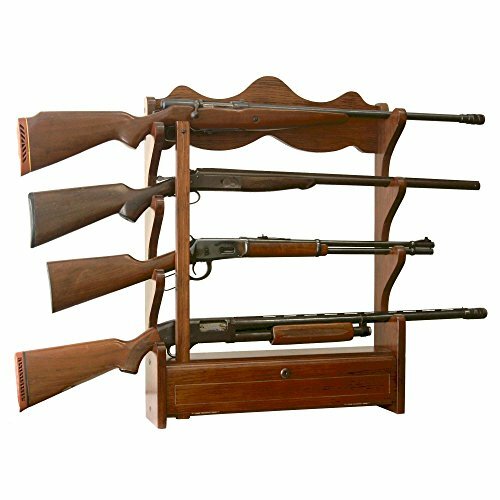 Capacity differs from 8 to 12 rifles depending on the model. 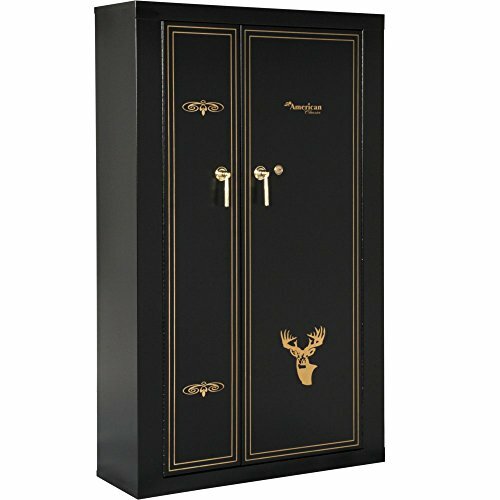 The storage is lockable, though the only key lock is available in that type. 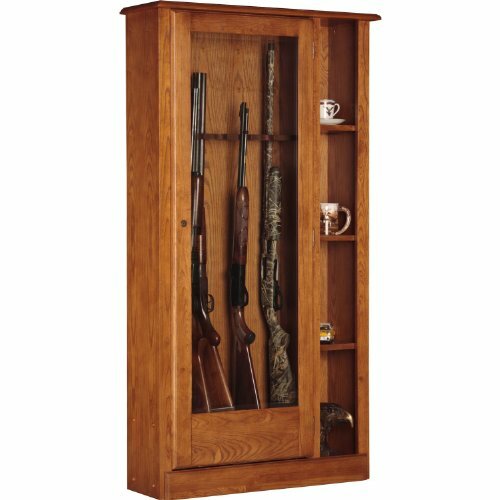 In some models, there is additional space for gun ammunition and accessories. 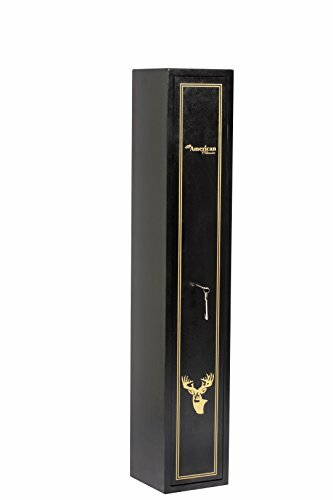 It is made of high-quality scratch resistant steel. 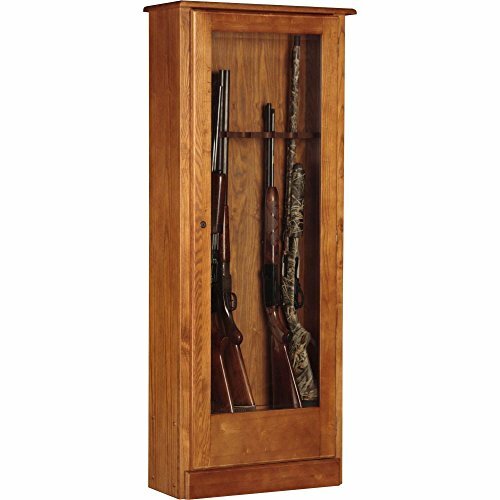 The high-performance blade-locking system helps to keep all the weapons secured. 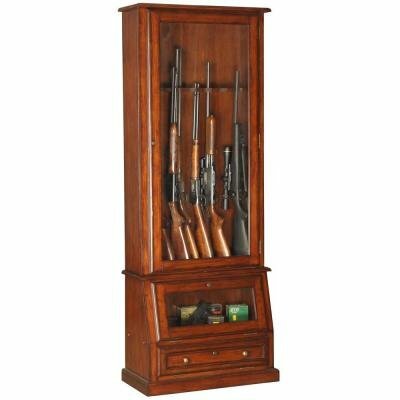 It is possible to have from 5 to 14 long armaments in that type of storage. 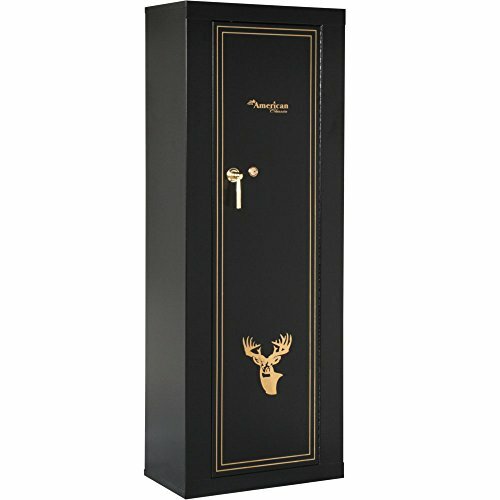 Metal gun cabinets are colored in black or dark green color, decorated with gold stripes, company logo and lapidary deer silhouette. 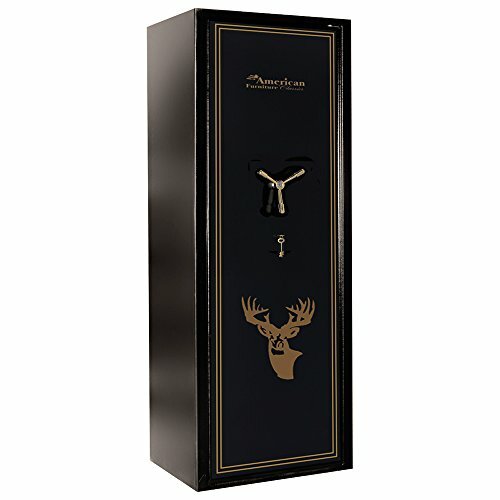 The third group of storages would be the best choice for those people who like to keep their armory in a secret place. 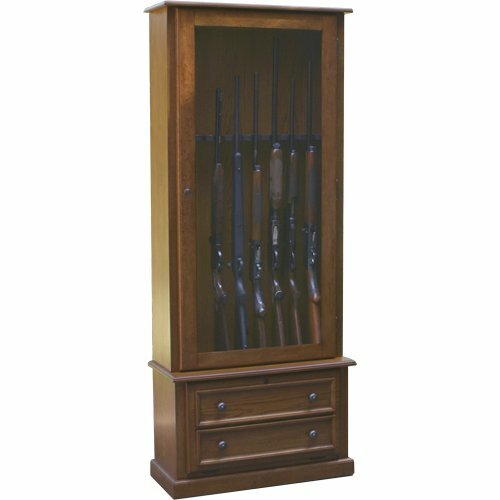 American Furniture offers clocks, benches, and cabinets with hidden space to place up to 10 guns in it. 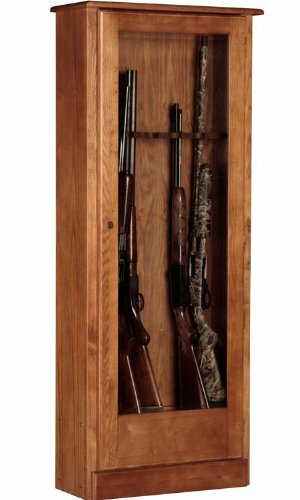 It is possible to lock the firearms properly. 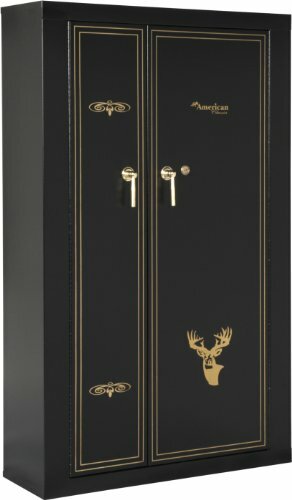 The most expensive thing is the cabinet. 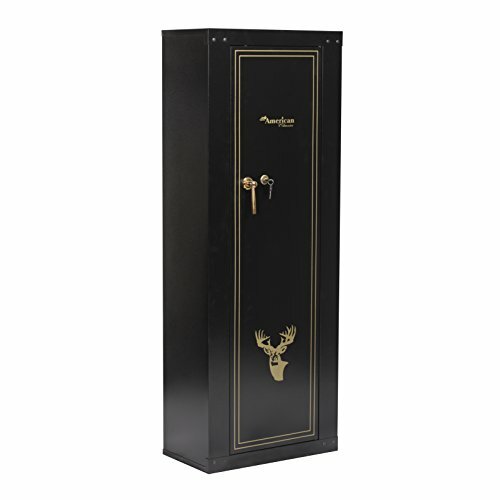 It costs though this piece is the most capacious too. 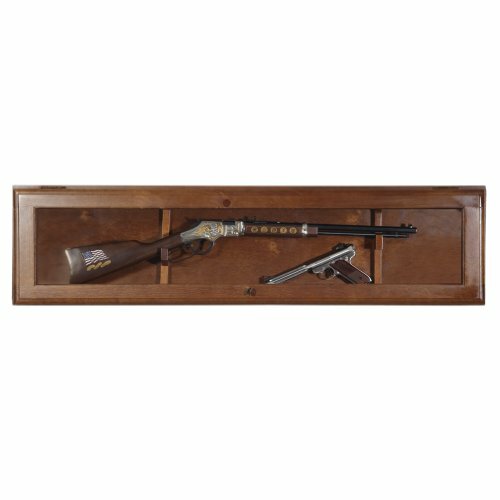 American Furniture offers a wide range of gun storages. All of them look nice and classy. 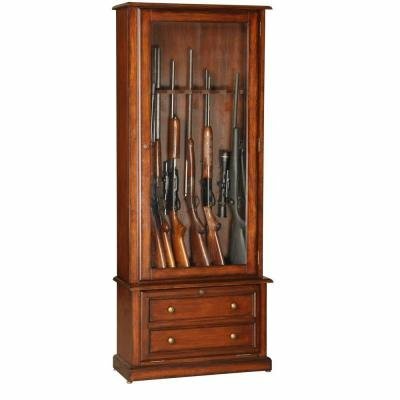 Some of them are even supposed to conceal the gun, so no one knows there is a gun inside. 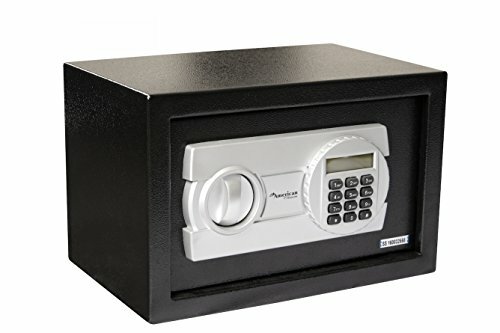 At the same time, some negative reviews are pointing out that there is no digital lock and some of the models need to be assembled.